Oct 9 Adult Learning Book Discussion at Pam’s house. 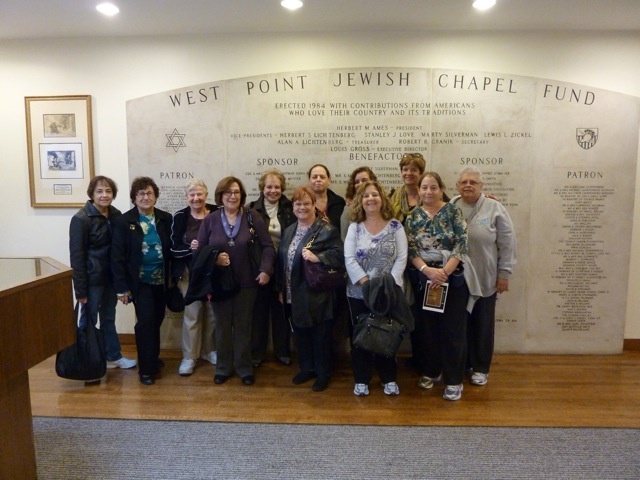 BOOK CLUBS – we will be reading books with Jewish themes and/or by Jewish authors. 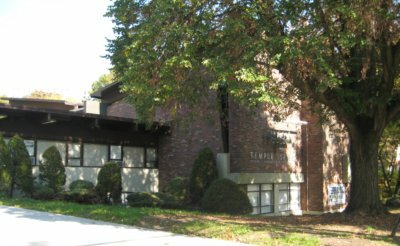 All temple members are invited to attend. We look forward to a large turnout of enthusiastic readers and critics and to a vibrant discussion of the material. For additional information contact Adult Learning Committee at 718.727.2231. Getting together to learn and do something new. Our past workshops included – Rabbi’s Forgiveness Course, Introduction to Judaism, CPR Workshop, Introduction to Kabbalah, Dilemmas of Faith. 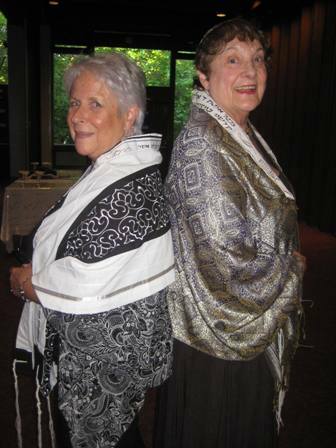 Our Tallit Workshops were huge successes! Beautiful and unique tallits were made along with matching accessories. To date a total of 28 tallits beautiful were made! Fern helps Claire with her tallit at our latest workshop. 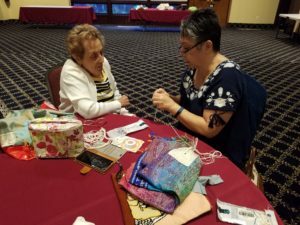 Shiela & Muriel model their tallits. 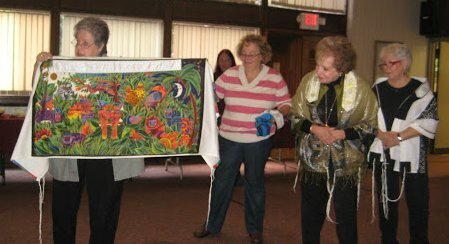 Phyllis holds up her “magnificent “Garden of Eden” tallit for all to see. One good book + a group of advid readers + that group of readers each bringing a dish to share = one fantastic book discussion! Come and experience the best of all worlds in our book discussions. We journey to interesting places to connect with our heritage. Whether it’s a historic site, a religious institution, cultural restaurant, museum – we explore, learn and share. SPECIAL GUEST SPEAKERS LECTURE SERIES. 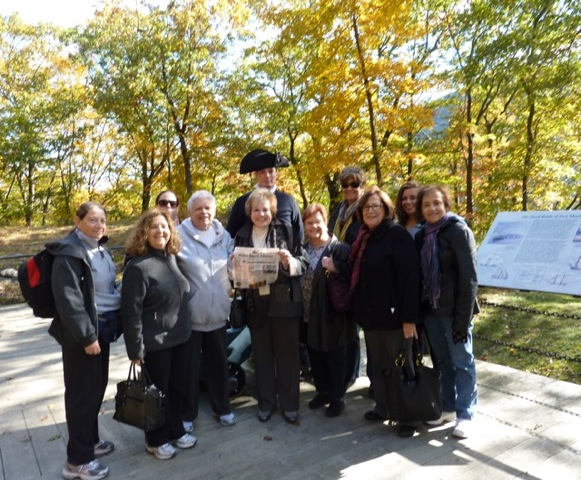 Our guest speaker lecture series was a big success attracting many people from our metropolitan area. Our speakers included Andrew Gross, political advisor to the Deputy Consul General of Israel in NY, who came to speak about the Israeli conflict. Chris Nicola author of “No Place on Earth” came to speak about his cave explorations and his experiences in meeting the Holocaust survivors who lived in the caves for 544 days.